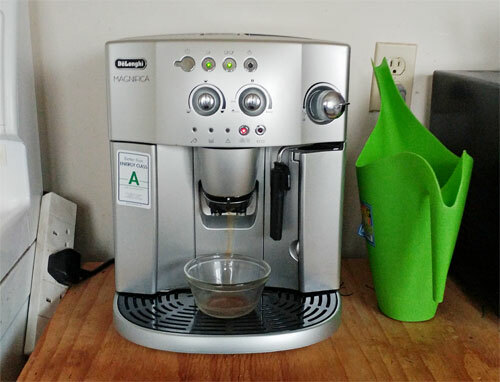 My transatlantic adventure with a DeLonghi Magnifica Coffee Machine that died... and then rose again from the ashes. In October 2010, I was living in London, UK working for the NHS. I was looking for a bean-to-cup coffee maker. There were so many models to choose from. 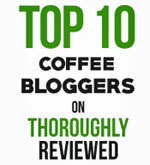 I wanted a machine that would enable me to get the freshest cup of coffee each time I brewed. A milk frothier option was also important, as I like my lattes as well as my espressos. After much consideration, I decided to give the DeLonghi Magnifica Bean-to-Cup Coffee Machine a go. It had all the bells and whistles on my list, yet was not over the top. I had to have some minor surgery so I had it set up for delivery once I was out of hospital. Set-up was easy. 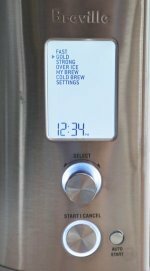 I plugged it in, adjusted the brewing strength, water and was all set. Mmm. Yes, I was going to love this machine. It was a wee bit noisy when it ground and brewed, yet the process lasted for less than thirty seconds. How the simple pleasures derived from one little machine can make utter happiness! When I was returning to Canada in early 2011 after seven plus years in London, I packed up my beloved machine. It would be a month or more before I would see it again. Staying with my two younger sons, drinking filtered coffee was just not doing it for me. 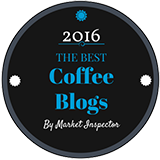 Before I was spoiled by my new brewing process, filtered coffee would have been fine, provided I had a top-up of stovetop-brewed espresso during the day or a stop at one of my favourite coffee shops in and around London to have a great cup. Now, as I sit with an empty glass of cranberry juice, I could really use a cup for inspiration. Life didn’t settle quickly, and after several moves within Canada, I moved into a flat in Cornwall, Ontario. I plugged in my machine to see that it did nothing but turn the lights on. Voltage is different in the UK and the rest of the world is different compared to North America. Rest of the world runs on 220/240v voltage. N America is on 110v. Sugar!!! I found a company that sold voltage converters and had it delivered. Plugged it in, turned it on, the machine started and seized with the power surge! I just about cried. I did cry! My son tried to take it apart, to no avail. It now sits in my cupboard, alone and untouched until I can emotionally part with it. I loved her while she lasted. In October 2014, I had met a family member whom I hadn’t seen in years. Danny R, listened while I regaled my coffee drama. Having worked and tinkered with machinery he asked if he could have a look at it saying, “It is seized and broken…what more could go wrong”. I went to the dark recess of the closet and pulled it out of its buried existence. It was hard to let it go even though it wasn’t working…parting with an old friend. A few weeks had past and he called to say that it was working…pause…was this a joke…be still my heart. Said he couldn’t see the full potential as he didn’t have coffee beans to try it out. He came over to my home with the machine in hand. Now the issue was, voltage power. How was he going to make this work? I happened to have in the kitchen a power bar from the UK for other appliances I had. Using adapter plugs some of the appliances I could use, just not on full power if it was hooked up to 220v. It groaned, gurgled and ground, pumping the liquid gold into my waiting cup. I cried once again. Thank you, Danny, I will forever be in your debt.